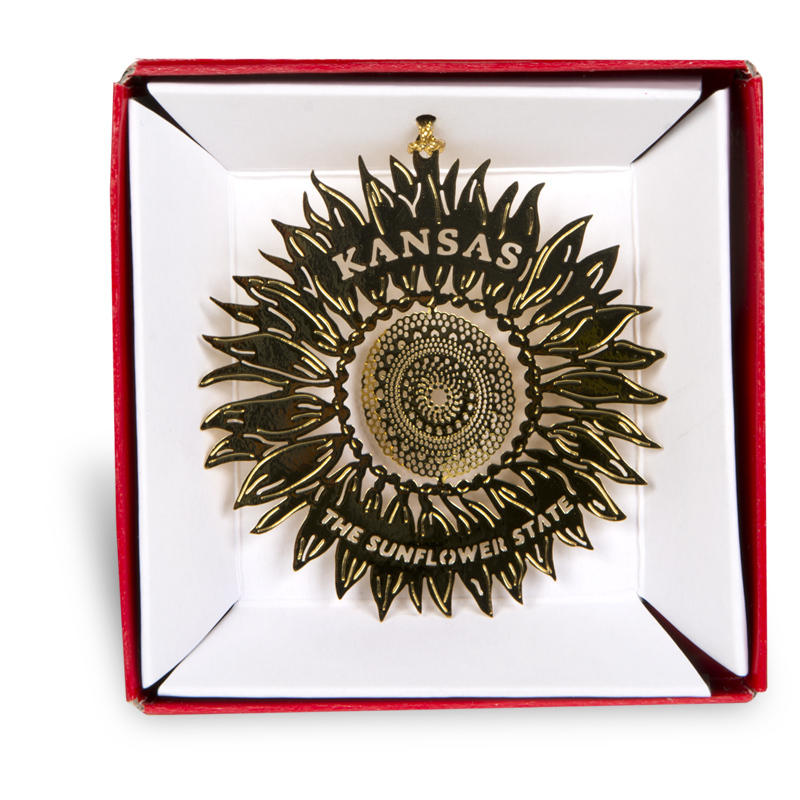 This beautiful collectible brass ornament highlights the beautiful Kansas wild sunflower. The vibrant Helianthus was adopted in 1903 as the state flower. The flower was cited for its hardiness and endurance. Today the plant has become an important crop and a popular symbol of the state. Uniquely Kansas, no other state claims the flower as its symbol.